(UPDATED) President Rodrigo Duterte again expressed his frustrations with his son, Sebastian "Baste" Duterte, when he spoke with reporters on Saturday during the leader's visit to his mother Soledad's tomb in his hometown Davao City. The elder Duterte repeated what he said in a recent speech, admitting that he feels hurt whenever he hears one of Baste's kids talk bitterly about their father. The message is clear from Duterte this time around: Go home and spend time with your kids. "Nasasaktan ako para sa apo ko as I have not seen the guy (Baste)," Duterte told the media, adding as he addressed his son: "Umuwi ka na kasi iyong anak mo hindi ka na kilala." Duterte, however, clarified that he is not preaching from a moral high ground, just explaining that he doesn't want his grandchildren to grow up without a constant father figure around the household. "Who am I to criticize?" he asked. "Ang sinabi ko lang kayong mga lalaki — hindi lang ang anak ko . . . Kasi marami ditong mga lalaki, mga ul*l. Mag anak ng tatlo, apat tapos iiwanan ang asawa at magsama sa ibang babae." Duterte said that he has always made it a point to take care of all of his children. He gave his situation with Baste, his son with former wife Elizabeth Zimmerman, as an example. He said that he provided Baste with a decent education despite his split with Zimmerman. Last Thursday, Duterte surprisingly got candid as he opened about his family. He scoffed at his son's highly publicized relationship with actress Ellen Adarna, whom Baste was spotted often with in the past few months. 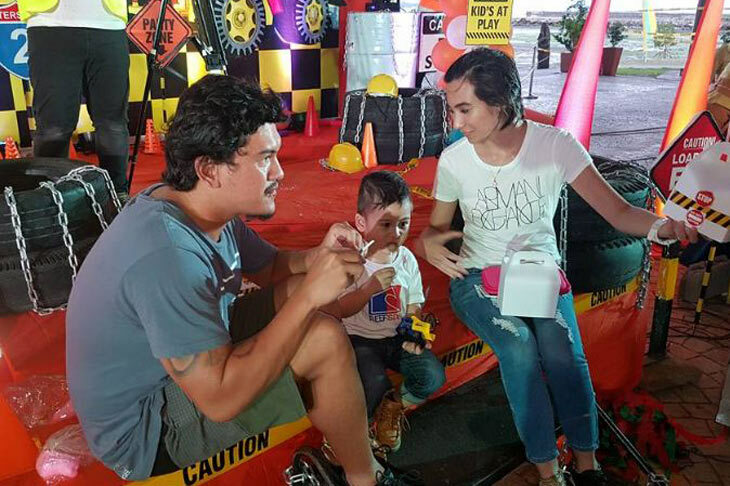 In reacting to his father's rant, Baste said that he really loved being the favorite child in the family. In Bisaya, he reminded his father that he told him last December that he and Adarna have already broken up. "Chill lang, Pa," he wrote. Duterte explained that he has nothing against Baste's romantic endeavors, but reminded him that he has a responsibility with his children.